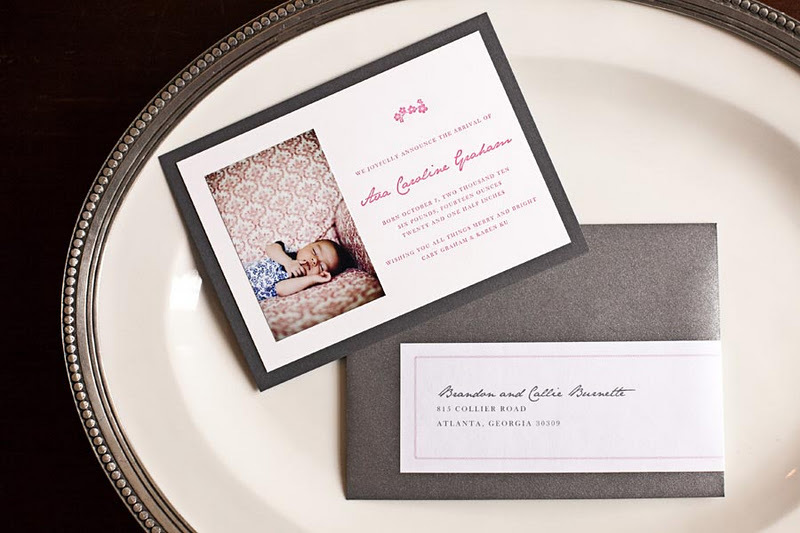 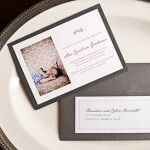 this holiday baby announcement features dabs of pink for the sweet little gal, metallic silver envelopes for the festivity of the season and letterpress printing for lots of style. 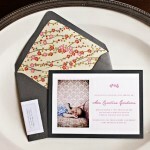 custom wrap-around address labels were fashioned for ease in mailing for a new mom! 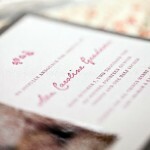 available in flat print or letterpress (shown).